Why "Content Marketing" is the Wrong Thing to Measure - Good reminder here that outcomes are what matter. It's not the success of the surgery but the outcome that we care about. If the heart attack patient dies because he threw a clot will anyone care about the successful surgery? If an ebook is eloquently and effectively written but not downloaded at a high rate how do we define its effectiveness? The notion of outcomes leads us down the path to inbound nirvana - closed loop marketing. Everything is tied together and if you're not viewing content marketing as tied to your company revenue you're missing the point of any content efforts. Is There A Difference Between Digital PR And Inbound Marketing? - This is a question we receive frequently. And it's worthwhile to discuss. I like to think of the notion of digital PR as anything that lives outside your website. Press releases, sponsored posts - even native advertising. Digital PR is designed to drive brand awareness and enhance brand perception. Inbound marketing's perspective, conversely, is one of attraction rather than promotion. Inbound is designed to help and educate prospective customers. In some cases, when a blog post ends up being syndicated to other websites, for example, a blending of inbound and digital PR can occur. HubSpot CEO on zany company culture: It wasn't intentional - It's nice to sea that Brian is as excited about this year's Inbound Conference as we are. Having been an attendee since 2010 it's truly amazing to see the growth. Last year, I felt the conference achieved rock show show proportions. There is such an energy bubbling up from attendees during the conference. Insightful as well, is HubSpot's golden rule. It's a rule that will serve us all well in business and in life. 'Use good judgment - 3 words to live by, for sure. 4 Web Design Trends Your Small Business Should Follow -Some good ones here - I'll link to an example of each. Video backgrounds - I feel like every new site has one. Grid layouts. Ghost buttons. And large fonts. Of the 4 trends, I particularly like ghost buttons because they are simple and encourage a very specific action. In a world of billions of choices, sometimes it's best to make the choice for someone. Guide them and make it simple. Facebook Takes Big Step Forward On Commerce, Builds Shops Into Pages - Facebook doesn't want to just make money advertising anymore. It wants the whole kit and caboodle. Why send a user outside of Facebook to purchase something when Facebook could be taking a cut of that purchase. 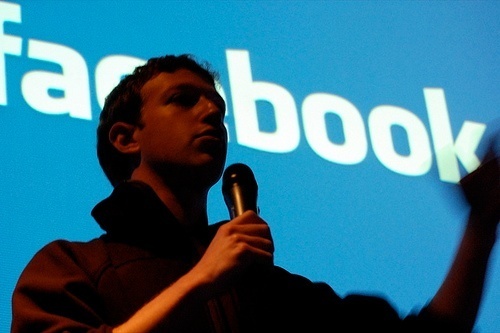 Will Facebook = Internet some day? Probably not but it won't be a for lack of trying. Facebook is working to bring a storefront directly to Facebook pages and get a slice of the $350 billion online commerce pie.